The second month in 2011 is only bringing a few new games to the table, most of which are games that could be either good or bad. But for the games that I will predict will be good, you've come to the right place. All of the games I'm listing are games that will most likely be worth your time. So check them out! Mixed series games have always been an interesting concept, beginning with Super Smash Bros. The third installment of Marvel vs. Capcom is pitting together the latest of heroes and villains of both worlds. Every character will have special moves, stances, and powers. Fans of either of the universes should be excited for this game, as only the best of the best characters are featured in this 3D fighting game. 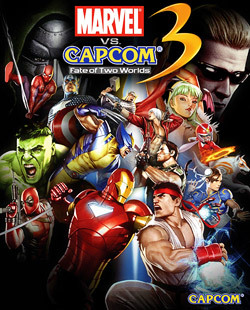 All in all, Marvel vs. Capcom 3 is expected to be the best fighting game since Street Fighter 4. 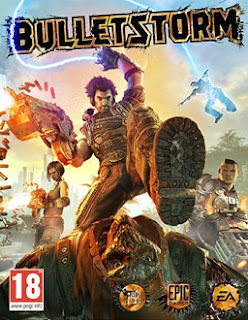 The box art (to the left) features only some of the characters that will be included. Of course, the game won't strictly be random fighting, but there will be a backstory that involves Doctor Doom and Albert Wesker joining to take over both universes. If nothing else, be on the lookout for this game! Bulletstorm is an FPS (first person shooter) that was created simply to get shooters back to the basics. The developer, Epic Games, thought that games were becoming too serious and needed a change of pace. Their solution? Bulletsorm. This game is more of an overpowered arcade shooter than anything. It's meant to be gritty, bloody, and profane. One of the biggest things in this game is skillshots. Because you are depicted as an overpowered character with a huge, destructive arsenal of weapons, using skill to simply stay alive isn't necessary in most cases. Instead, you use skill to perform skillshots. These will be scattered around and triggered by different things, but the long and the short of it is that you create epic situations which you use to kill enemies. The simplest skillshot is the easy headshot, whereas a more complex one would require you to sneak up on an enemy, launch them into the air and shoot off all their limbs. The more complex and destructive the skillshot, the more points you get. Overall, I enjoy the concept of getting back to the basics of FPSs. If you can stand gore and profanity, this game is definitely worth your time. Killzone 2 was the most anticipated shooter for the PS3, and Killzone 3 has definitely taken its place. Comparatively, Killzone 2 was over 20 times bigger than the first. Once again, Guerrilla Games has outdone themselves, making Killzone 3 much bigger than the second. With the same gritty gameplay, of course refined, Killzone 3 will take place directly after Killzone 2. The plot will be very involving; you won't feel like you are fighting for nothing. Some new great additions to the game are: jet packs, new melee system, and destructible environments. The jet pack warfare will be far and few in between, but it should be involving and fun. The new melee system will make melee kills more brutal and will use the surrounding environment to better effectiveness. Not only this, but there will be special moves that can be strung together to make sweet combos. Lastly, still a rumor, Killzone 3 may feature completely destructible environments a-la Bad Company 2. 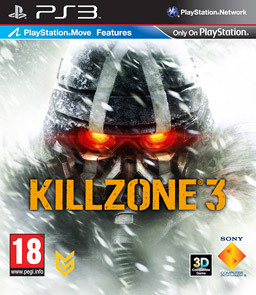 Of course, Killzone 3 is one of the first big titles to support Playstation Move as well as the traditional gamepad, which will be interesting enough. If you are a PS3 owner, Killzone 3 must go on your list. On the 15th, Conduit 2 will come out for the Wii. For those that actually play their Wiis, it should be one of the better first person shooters for the system. Also, Assassin's Creed: Brotherhood is finally making the move to PC on the 22nd.